When you have high expectations, choose a Marion. A custom-designed, custom-built Marion aerial delivers strength you can trust and performance you demand. Get water to the hardest-to-reach areas. Execute high-rise rescues. Safely access tall roofs. 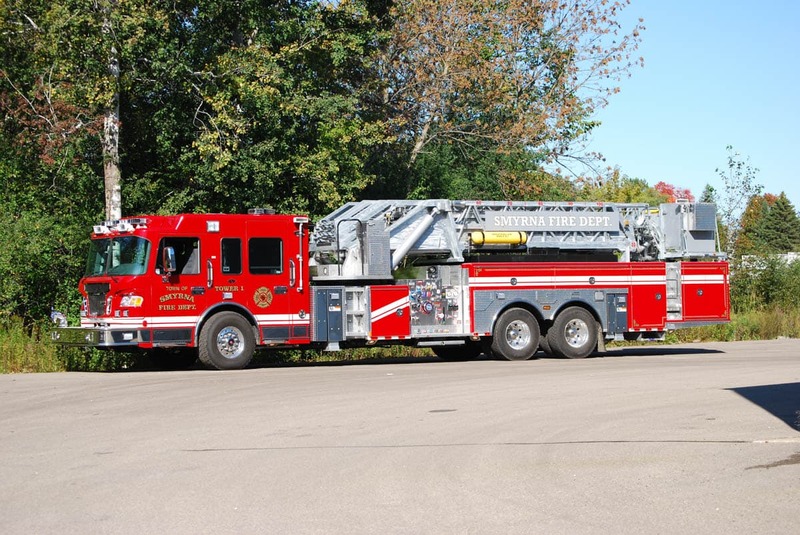 Aerial stick—Select what's best for your department, available from 60’ to 109’. Extreme durability—Hot-dipped galvanized stabilizers and torque boxes increase durability for critical components. Smart aerial controls—Increase safety with collision protection, speed control, auto bedding and air system monitoring. Custom compartment configurations—Bring the necessary equipment for any situation. Aerial platform—Choose the length you need. 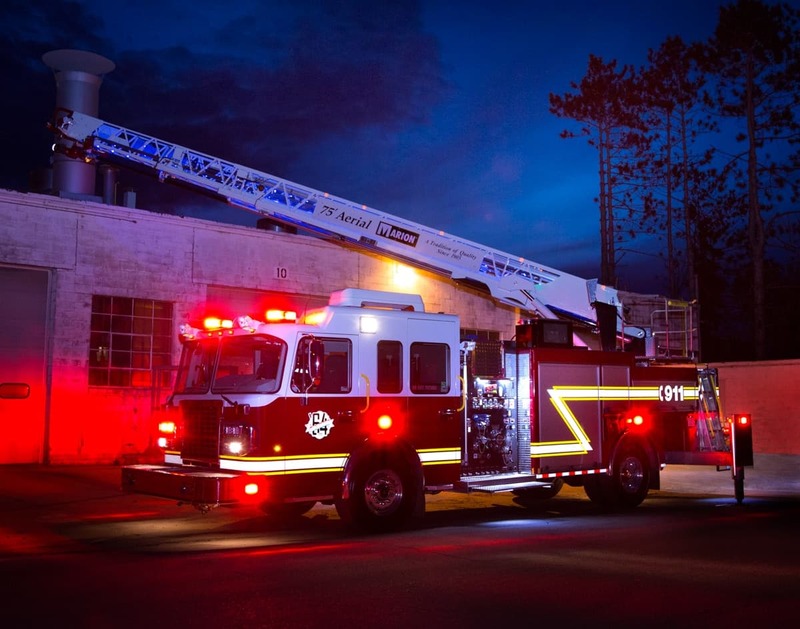 Soft touch controls—Unique locking mechanism allows for precise ladder location, every time. Warranties for true peace of mind. We provide a standard 2-year bumper to bumper warranty. Drive assured on a solid foundation by choosing the chassis to form the base of your Marion aerial with a custom (Spartan) chassis. Make an impression with your corrosion-resistant body that is fully extruded, all-aluminum construction, including an integrated sub-structure. Store items where you need them with custom compartment design based on aerial selected and department needs. Gain access to your truck how you want with extruded, flush-mounted or roll-up doors. Hassle-free electrical you trust with multiplex wiring as standard for easy troubleshooting; "as built” wiring diagrams created specifically for your apparatus. 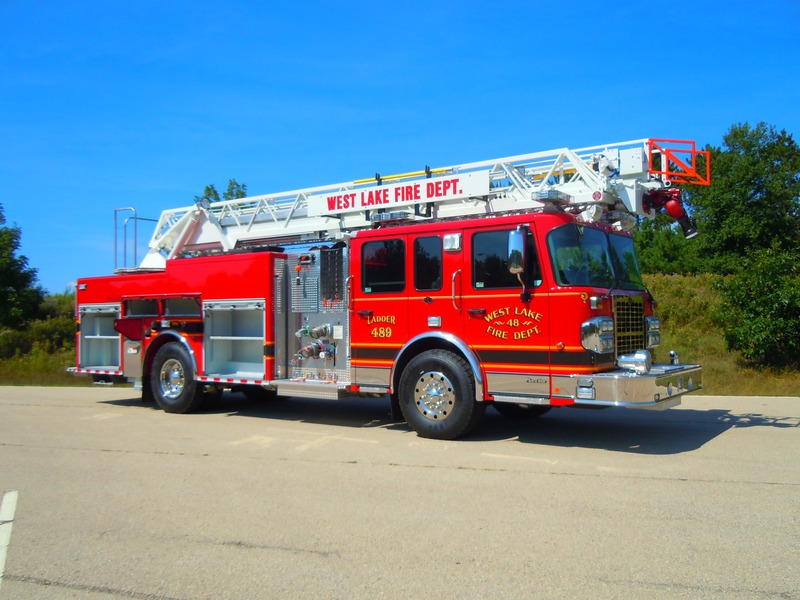 You select ladder location by choosing from mid-mount and rear-mount applications. 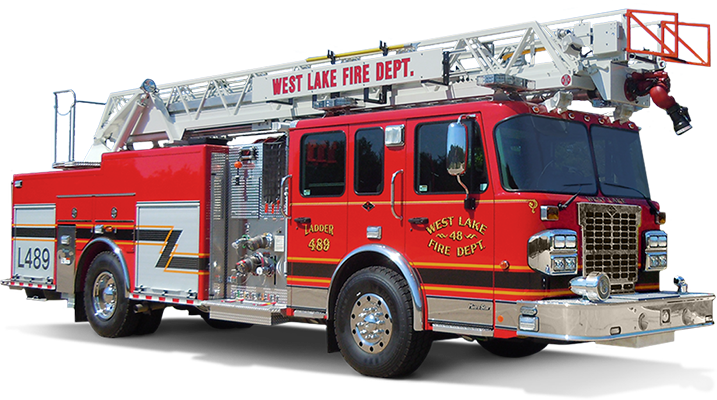 Have ultimate control with wireless remote control giving you options when you're away from the apparatus.